LAWRENCE, Mass. (AP) — Congressional members said executives at the utility company responsible for September’s natural gas explosions and fires in Massachusetts should step down. The calls for change came Monday at a special hearing into the disaster. The six House and Senate members from Massachusetts and New Hampshire held the hearing at a packed middle school gymnasium in Lawrence. They took aim at the corporate culture at Columbia Gas of Massachusetts and its parent company, Indiana-based NiSource. The companies face federal and state investigations as well as class action lawsuits. The National Transportation Safety Board has said that the company’s failure to account for pressure sensors in planning a routine pipeline replacement project in Lawrence led to the explosions and fires. Hamrock also told the panel he’d be asking his company’s board to withhold certain incentives he’s entitled to this year as part of his $5 million compensation. Bryant said he’d already asked that incentives on his more than $500,000 a year compensation be similarly withheld this year. But panel members weren’t moved. U.S. Sen. Elizabeth Warren, a Massachusetts Democrat, pushed the executives to disclose if anyone had been fired as a result of the disaster, but they declined to say. She also noted the company has been responsible for a number of gas leak incidents in Massachusetts in recent years. 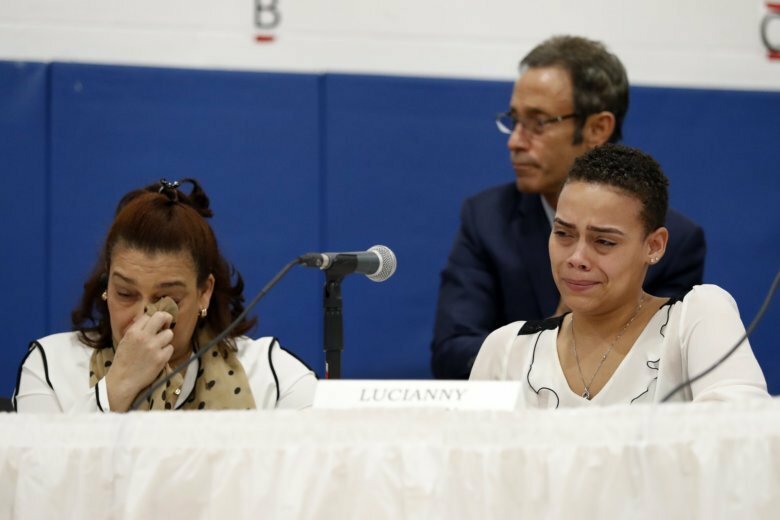 The sister of the teenager who was the lone fatality in the disaster opened the hourslong hearing with tearful testimony, saying her family seeks justice for her brother and their community.